We all know that we should be taking our vitamins on a daily basis. This has been drilled into our heads on a daily basis since we were young. The reason, of course, was so that we could “be healthy”, whatever that meant. As we got older and moved into the sport of bodybuilding, vitamins were probably consumed because we knew they played a key role in the muscle building process, which is true. But what kind of vitamins we should be taking, along with the actual reasons, often elude us. Let’s examine a few reasons why we should be including vitamins in our daily supplement regimen. Vitamins are things our bodies cannot make on their own. It was centuries ago as people began sailing for long distances that it was noticed long trips without certain foods led to illness. In that case, it was sailors developing scurvy because of a lack of vitamin C from fresh fruits and vegetables. Researchers did as they usually do, and picked up the ball and ran with it, soon discovering exactly what elements of food were necessary for proper human health. These items need to be introduced to the body for complete health – they are not available naturally in our bodies. As technology improved, vitamins became more concentrated and precise, and began to taste better too. 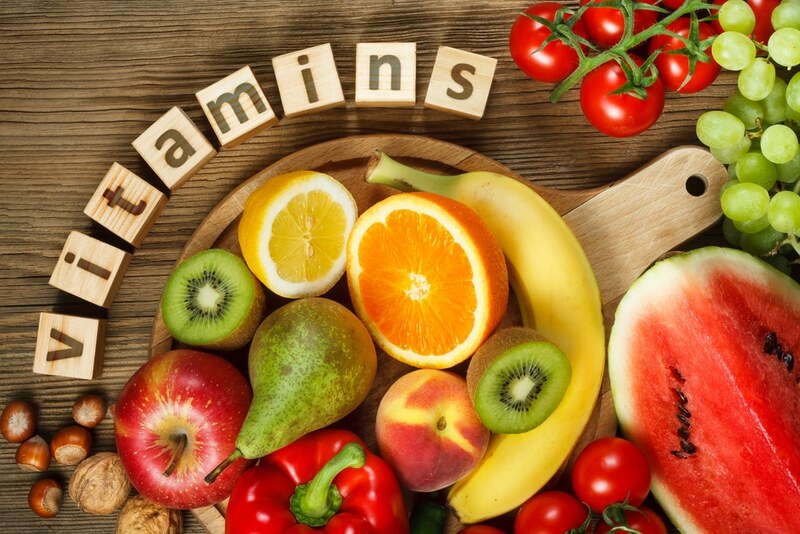 Today, many people take these vitamins on a regular basis to make sure their bodies are getting all of the micronutrients they need to be healthy. Improved memory, better muscle and organ function, clearer skin, thicker hair, and many other benefits are seen with vitamin use. Real food should always continue to be consumed, as it contains many items not yet isolated by researchers. Use vitamin C & E for immune function and vitamin B for muscle function. Fish oil is great for brain function. Some vitamins are fat soluble (A, D, E, K) and cannot be taken continually without building up in the body. Others are water soluble (B & C) and will be excreted by the body very quickly if not used. So yes, you can ‘overdose’ or at least face some health risks when taking too many vitamins, so always follow recommended dosages. Eat a varied, healthy diet and use vitamins as supplements for covering those nutritional bases you might be neglecting. Drink plenty of juice, milk, green tea and of course, water. Whey protein, chicken, beef and eggs should be consumed for protein, along with rice, beans and potatoes for carbohydrates. Walnuts, almonds and fish oil are excellent fat sources. Seek balance in diet and vitamins will only be the finishing touch on a great physique! This entry was posted in Nutrition and tagged Supplements. Bookmark the permalink.